Blacktown is a suburb to the west of Sydney, not far from Parramatta, Castle Hill or Penrith. Harry Dennison Park, Derby St. Rooty Hill, NSW 2766 ‎ (Pink marker "A" on the map below). Games are played on a Rugby League field with great lights and grass cover. 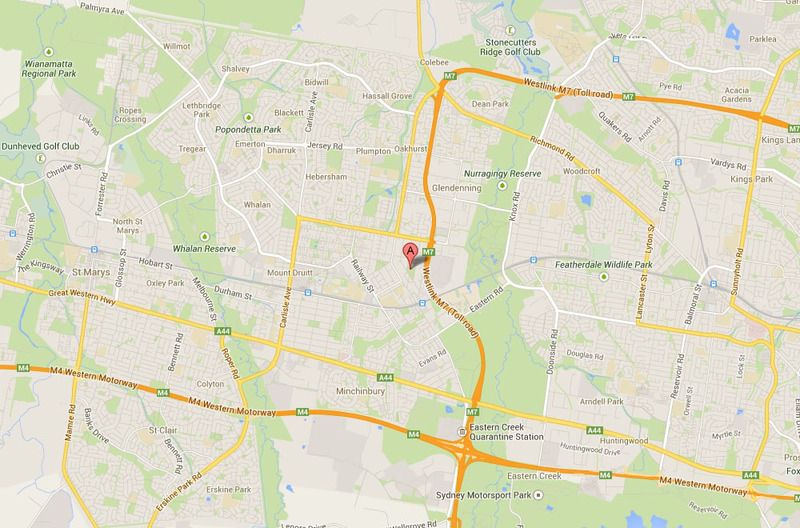 Best access is off Woodstock Avenue which is easily accessible from Carlisle Avenue, Rooty Hill Rd or the Westlink M7. There is a small car park but plenty of on street parking. Toilets are available at the grounds. Click Here for a more detailed map and directions to Harry Dennison Park.